What is a commodity investment? The term “commodity” is generally used to refer to raw or primary products such as iron ore, corn, cocoa, sugar, crude oil, copper and so on, for which a trading market has developed. A commodity investment can consist of shares of a commodity producer or a direct purchase of commodities or commodity futures. Most, if not all, non-professionals who get directly involved in trading commodity investments wind up losing money. That’s why Pat McKeough believes the best way to invest in, and profit from, commodities is by purchasing commodity stocks. Commodity stocks are shares of well-established companies that will benefit from a rise in commodity prices. Even though it’s hard for them to bring a distinct product to market, they can distinguish themselves by how well they find and profitably produce their commodities. Is silver a good investment? Only if you target silver ETFs or silver mining stocks, and follow these mining investing tips. 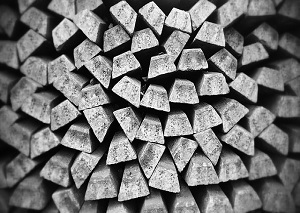 Silver mining stocks and silver ETFs are a better way to invest in the precious metal than silver bullion. Silver has fallen sharply from its all-time high of $48.70 U.S. an ounce, where it closed on April 28, 2011. 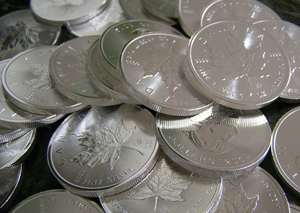 Silver now trades at $36.80 U.S. an ounce. That’s up 106.2% from $17.87 U.S. an ounce a year ago. Delphi Energy, symbol DEE on Toronto, explores for oil and gas in Alberta and B.C. Natural gas makes up 76% of its daily output; the remaining 24% is oil. Exchange traded funds (ETFs) have gained popularity among investors in recent years, mainly because they offer low management fees. Gold is currently trading at around $1,183 U.S. an ounce. That’s up 4% from April 19, 2010, when it was trading at around $1,138 U.S. an ounce, but still short of gold’s all-time high of $1,214.80 U.S., which it reached in late 2009. The price of natural gas has fallen to around $2.50 U.S. per thousand cubic feet, a seven-year low.